Chinese smartphone maker OnePlus has confirmed that it is all set to take wraps off its next flagship smartphone OnePlus 6T on October 30. The company has sent out media invites for the launch event of OnePlus 6T that will take place on the said date in New Delhi. This time, OnePlus fans will too have a chance of seeing the phone getting launched as invites for the event can be bought too. The India launch of OnePlus 6T happens to be on the same day as the global launch. 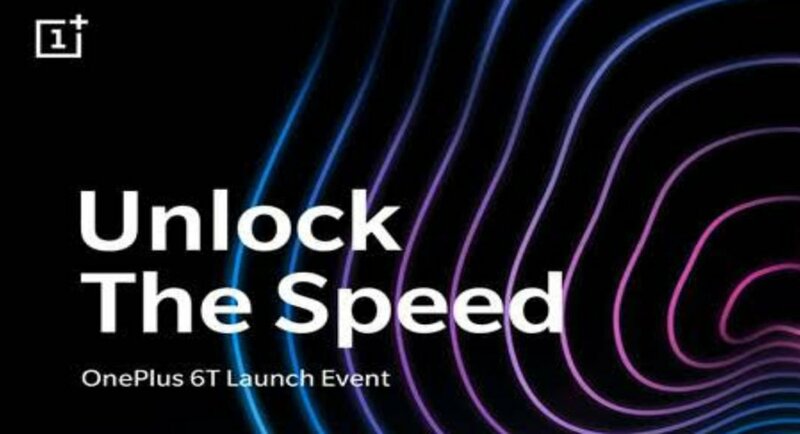 The invite that has been sent by the company comes with the tagline – ‘Unlock The Speed’ – which, we think, points towards the indisplay fingerprint sensor that OnePlus will sport. The invite further says that OnePlus 6T will be launched at KDJW Stadium, which is inside Indira Gandhi Stadium Complex in New Delhi. The date and time of the launch are also mentioned on the invite. As we mentioned earlier, the smartphone will be launching on October 30 at 8.30pm. OnePlus fans can buy invites to the event via the company’s official website. The invite costs Rs 999 and will go on sale on October 17 at 10:00am. The global launch of OnePlus 6T will take place in New York City on October 30 at 11am EDT. This basically means that both the launches will take place simultaneously. Those who cannot make it to the event can watch the live-stream of the launch on the company’s official website. Needless to say, a number of rumours and speculations have surfaced online about the upcoming smartphone. OnePlus 6T will reportedly feature 6.4-inch Optic AMOLED full-HD+ display and will be powered by Qualcomm Snapdragon 845 processor. It will be available in 6GB and 8GB RAM options and is expected to have an internal storage of up to 256GB. The smartphone will reportedly house a 3,700mAh battery and is said to run Android 9.0 Pie out of the box. The display of the smartphone will sport a waterdrop style notch at its top. It has been confirmed earlier that OnePlus 6T will come with an indisplay fingerprint sensor and will not sport a 3.5mm jack. The smartphone would not support wireless charging and also would not offer an IP rating.